Christopher Groskopf looks to bring open data and open source to Tyler, Texas. Christopher Groskopf (@onyxfish) is a news app developer at The Chicago Tribune. It’s a job he can do remotely, which is convenient since he announced last spring that he’d be leaving Chicago and relocating to Tyler, Texas. And so the “Hack Tyler” project was born: a plan to open, share, and analyze city and county data. Groskopf has been updating his blog with his progress (and his entries, in turn, have been re-published in The Atlantic). In the interview below, Groskopf discusses the state of the project and what others can learn from his experiences. What have you hacked in Tyler so far? Christopher Groskopf: I’ve experimented with local geographic and census data, and built out the foundations of a local transit app. I’ve also written some prototype web scrapers for a variety of local datasets, which haven’t yet been incorporated into anything visible. Mostly, I’ve spent a great deal of time aggregating data sources and plotting out what sorts of projects might be interesting and useful to the local community. I’ve got a list of a dozen relatively broad ideas. Christopher Groskopf: My biggest surprise has been the amount of data that was available and who it was available from. I’ve learned since starting the project that Texas has a history of transparency projects that I was unaware of. Of particular note was a dramatic reversal in who provides data in raw formats. Chicago had accustomed me to thinking of transit as being the most forward-thinking in terms of providing data and law enforcement the least, but the situation in Tyler is inverted. The police department seems to be remarkably progressive in getting data out there — although the formats are terrible — and I’ve had great difficulty getting any useful information from transit, despite my highly visible efforts to craft something useful for the community. I’ve also had local residents go head over heels for the idea behind the project, and I’ve had others tell me in no uncertain terms that my attitude was unwelcome. I’ve been heartened by the former and depressed by the latter, but surprised by neither. 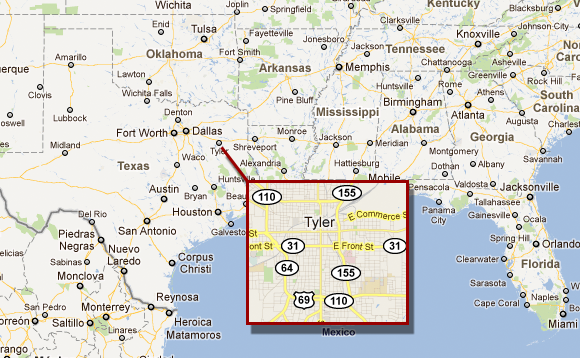 In terms of local data, what’s the biggest obstacle you’re facing in Tyler? And is this obstacle unique to Tyler? Christopher Groskopf: The biggest challenge is in convincing the local government it’s worth their time to care. For small governments, everything must be evaluated in terms of the value it generates. It’s hard for them to believe that this ethos I’m espousing can produce and, more importantly, sustain valuable projects for the community. This problem is exacerbated by my status as an “army of one” on this project. Tyler doesn’t have a vast local community of developers to support the effort. Instead, I must appeal to broader examples and trends to underscore that every city can benefit from making data more open. I might be the first person to cause a fuss about data in Tyler, but I won’t be the last — and software and data-oriented decision making will only continue to grow in importance. I don’t think this problem is peculiar to Tyler. I do believe its endemic to municipalities with populations under 500,000 people. Big cities are just starting to understand that by becoming transparent platforms for their citizenry, they can lower costs, generate new value, and engage with citizens in a new and fundamentally democratic way. Smaller cities and towns — with notable exceptions — haven’t gotten the memo yet. Not being repositories of cutting-edge technology, smaller locales are frequently left to the caprices of unscrupulous software vendors and mediocre consultants. What can city governments and developers learn from your work in Tyler? Christopher Groskopf: For want of a proper desk and computer (both of which are waiting for me in storage in Tyler), I’ve been confining my projects to the very small scale over the summer — I’m building maps and doing analysis, not to mention reading everything I can about the place. I bring this up to point out the nimbleness of the project. I have no money, so I host things on an EC2 micro instance and pay a paltry $15 a month. I have no laptop, so I hack on a netbook. I use open source. I examine the work of my peers. I copy good ideas. Governments and developers should learn the same thing: agility. This work is not intrinsically expensive. It need not be exasperating or difficult. If it’s costing you a million dollars, you’re doing it wrong. If the project is scheduled to take a year, it’s the wrong project. Start small with modest goals, then exceed them. And make no excuses. Anybody with the requisite programming skills can copy what I’m doing. And those requisite skills can be learned — for free! All Hack Tyler projects are open source and, more importantly, the projects that made them possible are open source. And of ultimate importance, the knowledge needed to create them is itself open.